. 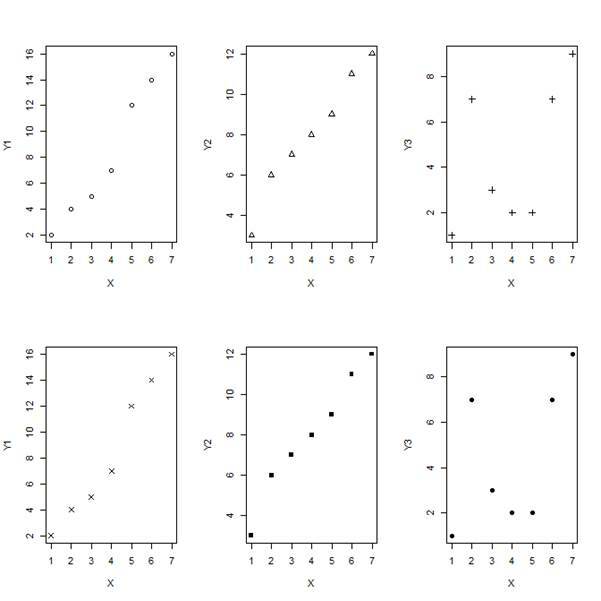 . . where A refers to the number of rows and B to the number of columns (and where each cell will hold a single graph). This syntax sets up a plotting environment of A rows and B columns. To see more of the R is Not So Hard! tutorial series, visit our R Resource page. Is there any way we can change the margin of the plots? i mean They all have same border and margins atm, I want one of my plots to have less space. Is there a way to write a name for all plots? E.g. in your example how could one write “Two rows of Y plots” on top of the plot/file? Thank you. Is there a way, where multiple graphs can be plotted in the same x & y axis? This will not erase the existing plot before drawing the new one. Note however that it does not attempt to scale the overlaid plot to the existing one – you can either use different y-axes on either side of the plot, or scale the overlaid plot yourself. Otherwise your new plot will be the right shape, but appear to have the wrong y-values.